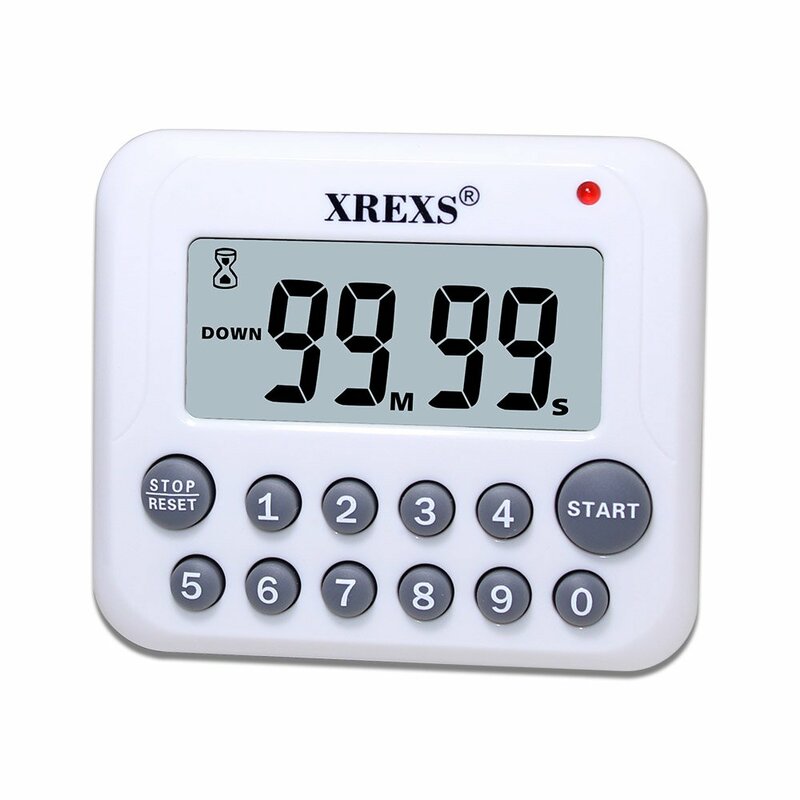 Home › Home and Kitchen › Xrexs Digital Kitchen Timer Magnetic Large Display Countdown Up Timer Clock L..
LARGE DISPLAY COUNTDOWN TIMER-Big clear digits,Wide LCD screen clock, Just a glance from across the room and you can easily read the timer display with it's big, bold digits,Size:Timer: 3.2x 2.9x 0.8 inches. LCD display: 2.1x 0.75 inches. COUNTDOWN UP TIMER SETTING-Stop and restart, Press START to start, and STOP to pause. Then press START to continue or RESET to clear. Last setting shows. MAGNETIC BACK & POCKET CLIP- XREXS Digital Kitchen Timer with Magnet Standing, Portable 3 different choices for the placement of the kitchen timer with magnet back standing,Tabletop/Desktop Countdown Timer, Either stick it to the fridge door with its large magnet, or use the pull out stand, you can run a piece of string through the hook and hang it on a wall hook or around your neck if you are on the go. Best Kitchen Timer-Durable lifetime, If it's on but not working, it will turn off after 10 minutes. Requests 2 AAA batteries(included) .Up to 99M:59S. Input numbers directly, so easy! If wrong number entered, simply press RESET to clear.